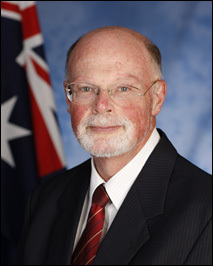 blog Fascinating comments about the state of Australia’s cloud computing landscape have just arrived from Department of Defence chief information officer Greg Farr (pictured), one of the most respected technology executives of any stripe in Australia. With providers like CSC morphing the cloud model into unrecognisable shapes (sorry Bob!) and the cloud computing hype wave beginning to recede substantially in Australia, it’s hard to disagree with Farr’s comments. In my view, much of what is being labelled “cloud computing” in Australia should be more correctly labelled “managed services”, at least until we get more large-scale public cloud providers such as Amazon.com and Rackspace providing on-shore offerings. As always, Farr is one step ahead of the curve when it comes thinking about enterprise IT in Australia.